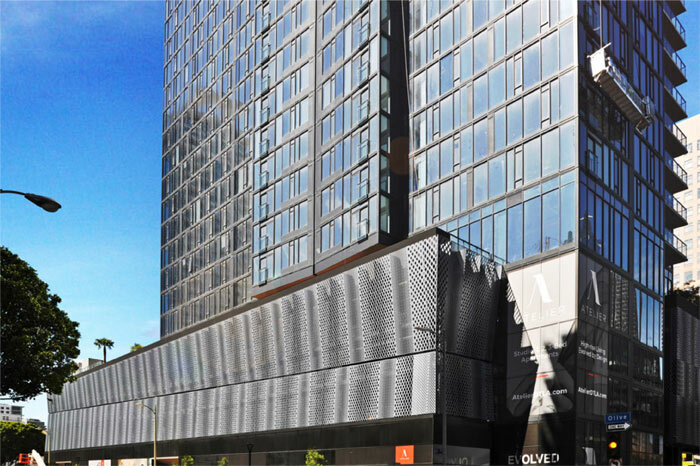 Parking garage screens installed in Downtown Los Angeles, this high-rise residential tower sits on 4 levels of above ground parking. 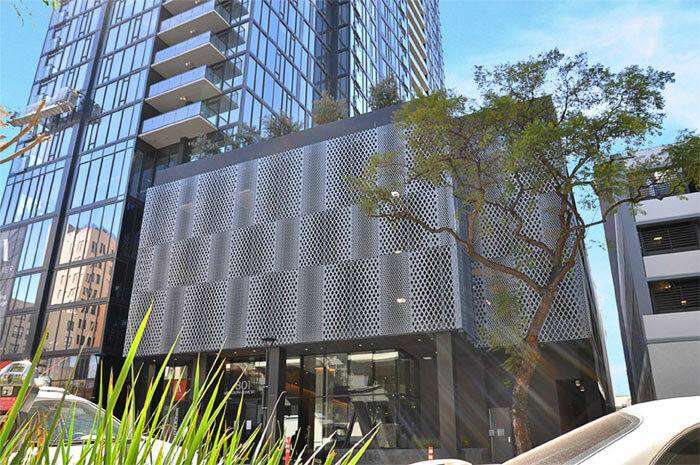 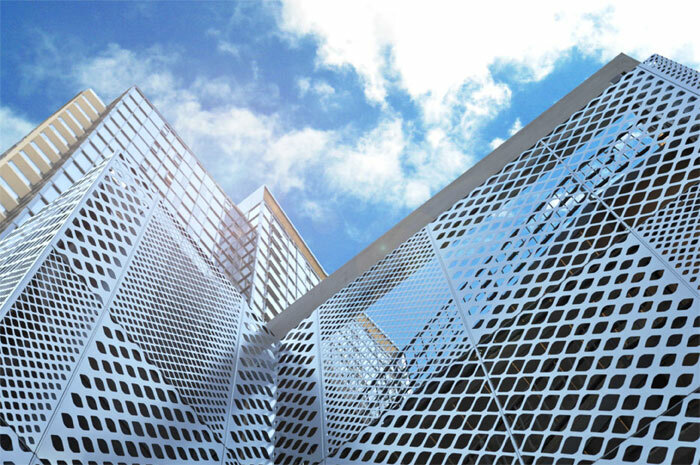 BŌK Modern provided the screening of the parking garage in a custom pattern by the architects, SCB Architects of San Francisco. 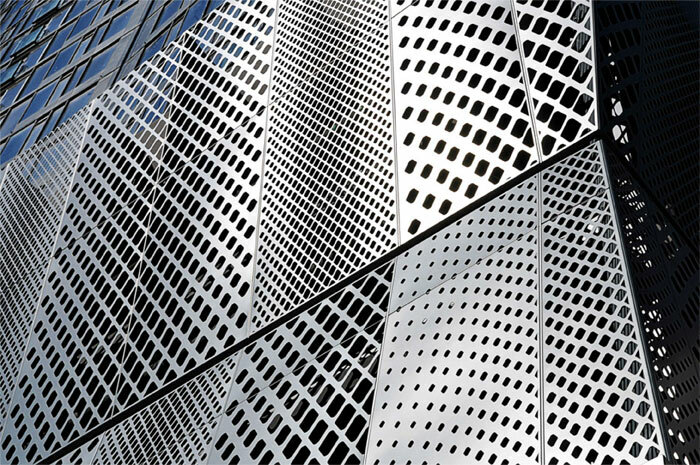 The screen walls have tilt out at both the top and the bottom from a diagonal slot across the face of the building. 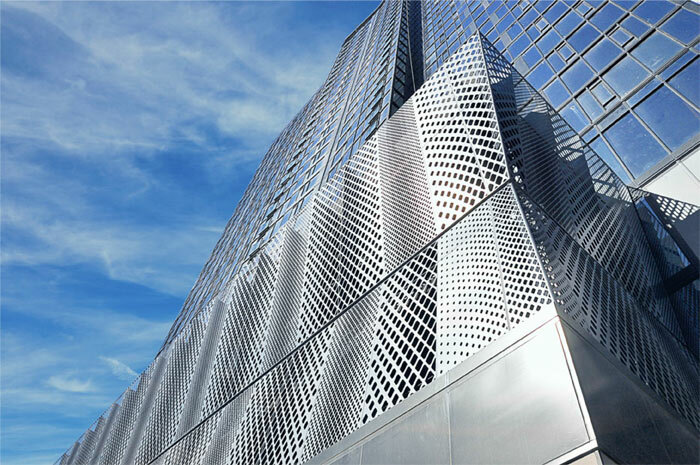 This was achieved by attaching our panels to shaped vertical fins which were attached directly to the edge of slabs.